Our waste water treatment solutions are developed to help landfill owners manage the leachate associated with landfill and dumpsites. The following sections detailed the various areas that are covered by our waste water treatment solutions. 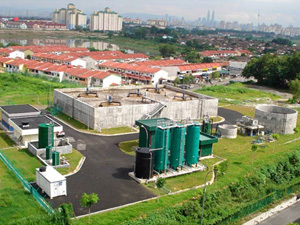 Our leachate treatment plant can be divided into two major area, on-site and MLTP. Our on-site leachate treatment plant is usually a large scale comprehensive leachate management system that is designed and developed as a long term solution for either a new sanitary or a closed landfill. The picture on the right shows our past leachate treatment projects. We also have a MLTP service which allows leachate treatment process to continue to be part of the integral part of any waste management facility. 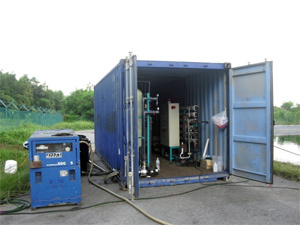 MLTP is usually used in cases where site are restricted and the volume of leachate is not large. MLTP can also be deployed as emergency response treatment system should there be any planned or unplanned plant shutdown.